Favser is collaborating with DEC to give out complimentary tickets that worth up to RM197 to all Favser Pro and Favser Pro Plus freelancers. It's 100% FREE, without any hidden fee. This is one of our initiative to help our Favser freelancers to sharpen their skills and build up valuable customer network. 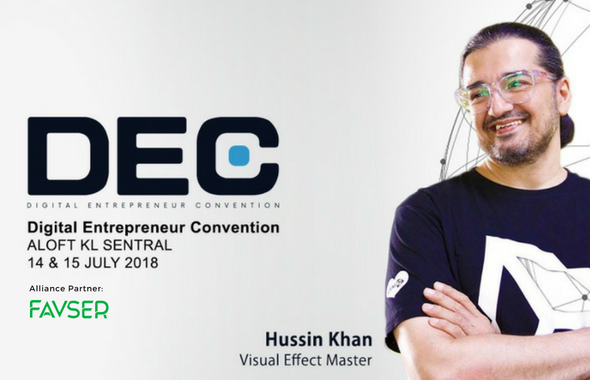 Digital Entreprenuer Convention (DEC) is a 2 days event aimed to create a comprehensive network and digital marketing plan for your freelance business. 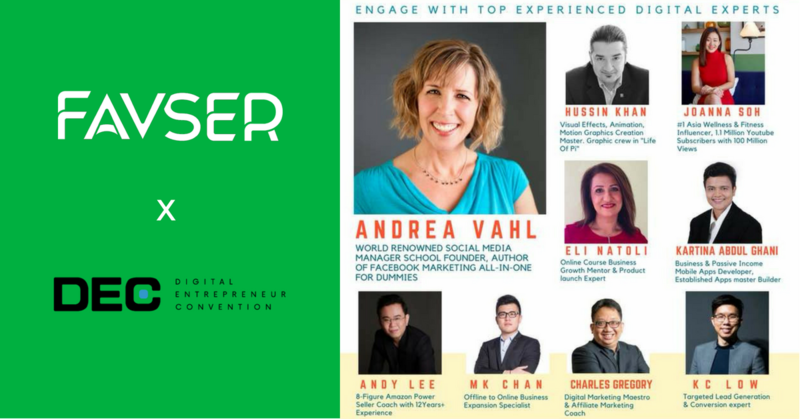 You will get to learn on how to increase your revenue and income as a freelancer from reputable digital experts. HOW TO CLAIM A COMPLIMENTARY TICKET? If you're intested, please send us your name, email and mobile number to our email: support@favser.com before 22 June 2018. Please email us using your registered email in Favser. These free tickets are exclusively for our Favser Pro and Favser Pro Plus freelancers. Sign up or upgrade to Favser Featured (RM4.99/yr.) or Favser Featured Plus (RM9.99/mo.) before 22 June 2018 to entitle these free tickets! WHAT DO FAVSER LITE MEMBERS GET? If you are a Favser Lite member, we got you cover as well. Get an exclusive 20% discount by applying special discount code "Favser". Alternatively, you can subscribe to Favser Pro (RM99.9/yr.) or Favser Pro Plus (RM199.9/yr.) to enjoy the complimentary ticket and other features that help you to reach 6X to 10X more customers. Click here to subscribe the premium freelancer account to enjoy all these valuable features! We want to thanks every single one of you on contributing to Malaysia freelance community. Favser will continue to brings more value-added services, products and events to all Favser freelancers. Check out some of our key speaker below. Hussin Khan is part of the crew in the Academy Award winning “Life of Pi”. Nowadays, graphic design is truly ubiquitous — and there are more opportunities than ever for skilled graphic designers to find creative expression and fulfillment. Come and get the opportunity to study with world-class designer and develop the skills necessary to forge a path in an ever-evolving, dynamic, and essential discipline. ” The co-author of Facebook Marketing All-in-One for Dummies and was the Community Manager for Social Media Examiner”. 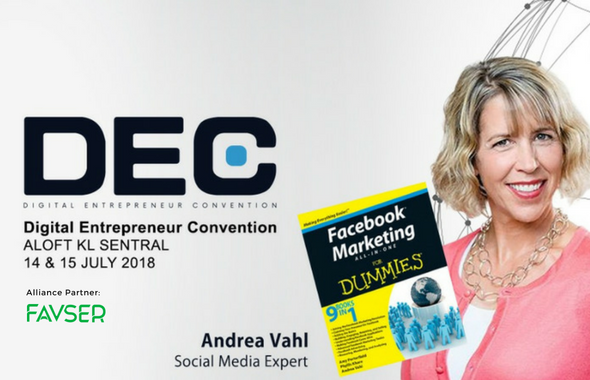 Andrea Vahl was named 50 Favorite Online Influencers of 2014 on Entrepreneur.com, 21 Best Blogs That Will Help You Grow Your Business on Inc.com in 2016, and Top 30 Women in Social Media by Boom Social. 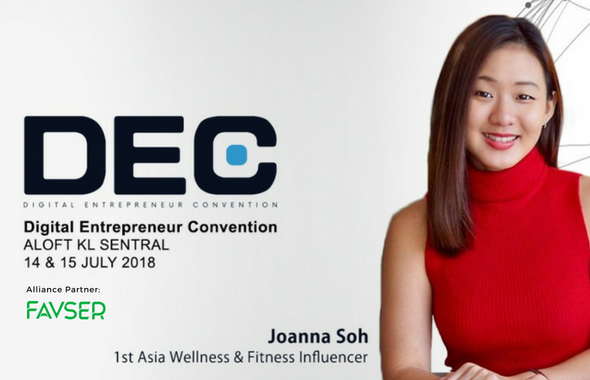 “#1 Wellness & Fitness YouTube personality based in Asia.” Joanna’s YouTube channel has over 1.1 million subscribers, with 100 million views. It is currently the 3rd most subscribed channel in Malaysia.